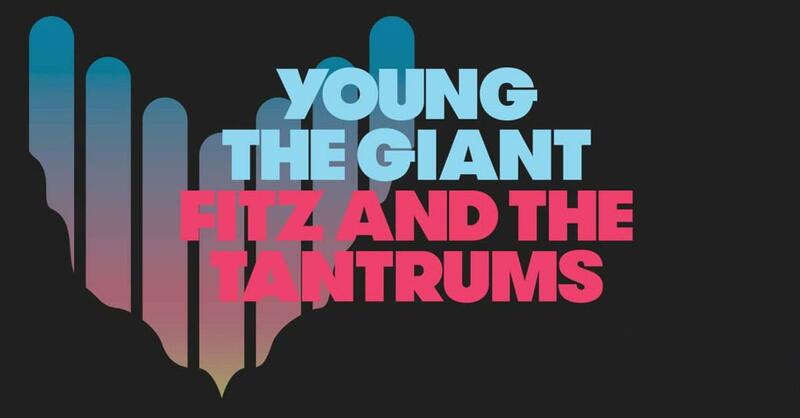 Young The Giant + Fitz And The Tantrums are coming to Red Hat Amphitheater in Raleigh on July 16th! Elektra recording groups Young The Giant and Fitz and the Tantrums have jointly announced plans for a massive, co-headline summer tour. The two chart-topping bands – both with roots tracing back to Southern California – will kick off the extensive, cross-country trek at the iconic Red Rocks Amphitheater in Morrison, CO, on June 12, with dates continuing into August, including a special, homecoming show at The Forum in Los Angeles on August 10. Young The Giant and Fitz and the Tantrums with special guests COIN will play Charlotte Metro Credit Union Amphitheatre on Saturday July 13 and Red Hat Amphitheater Raleigh on July 16. Presale begins on Wednesday, February 20, with general on sale starting on Friday, February 22 at LiveNation.com, via the Live Nation App, Ticketmaster, and by phone. The Charlotte July 13 date is this year’s Woody & Wilcox Summer Camp. For more details, please visit www.YTGFITZ.com. Fitz and the Tantrums are currently working on new music for 2019 with further details to be announced shortly. The band’s most recent release – 2016’s acclaimed “FITZ AND THE TANTRUMS” – featured the RIAA-certified 2x-Platinum smash “HandClap” which enjoyed top 5 chart success at multi-format radio outlets nationwide. Likewise, the song’s official companion video has amassed more than 75 MILLION views to date. “FITZ AND THE TANTRUMS” was the follow-up to the band’s breakout, major label debut, 2013’s “MORE THAN JUST A DREAM,” highlighted by two back-to-back multi-format hits in “The Walker” and “Out Of My League,” both of which reached #1 at Alternative Radio nationwide and certified Platinum by the RIAA.